After a successful debut last year, the second annual Winterfest event is coming back to Fremd once again this year on Saturday, Feb. 18 from 7 to 10 p.m. in the main gym, and it is being hosted by Fremd’s Student Council. This year’s Winterfest theme is “Black Out,” the same theme as last year’s, where students can dress in black, and as casual or formal as they desire. There will be many different components to the event that Student Council hopes will make a fun experience for Fremd students. Students can get together and take pictures at a photo booth and large inflatables will be set up in the gym where students will be able to bounce around and have some fun. Food vendors such as Gators Wings, Buffalo Wild Wings, On the Border, and more will provide students with delicious food to eat while having fun. In addition, Student Council will provide free cookies, brownies, water, and more treats. Senior and Student Council president Lauren Cardoza sees Winterfest as more than just a dance event at Fremd. Last year, Winterfest was organized by the company Boom Tour, but Student Council had decided to organize the event themselves this year due to the high financial costs of having a company organize the event. Spanish teacher and Student Council sponsor Ashley Soriano says it’s been an easier and more enjoyable experience having the event organized by Student Council. In order to promote Winterfest to the Fremd population, Student Council has taken different measures to encourage students to attend the event. 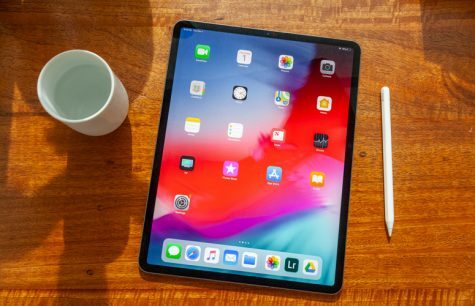 The club will utilize Twitter (@FHSWINTERFEST) to get any information out through a digital platform, and will also utilize television screens in Fremd hallways and the cafeteria to display such information. 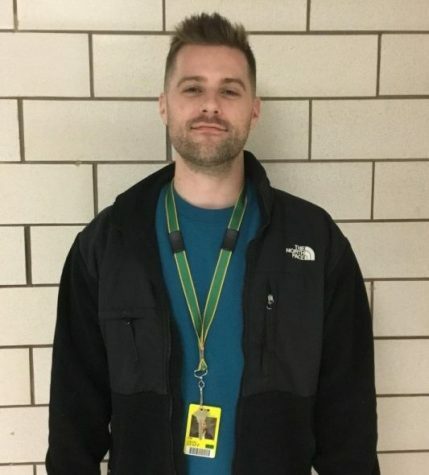 However, to get students excited about the event, a DJ from Famos Entertainment came to the Fremd cafeteria on Feb. 8 to promote Winterfest. In addition, there will be spirit days during the week of Feb. 13, along with a pep rally on Feb. 13 where the DJ from Famos Entertainment will show Fremd students what Winterfest will be like this year. 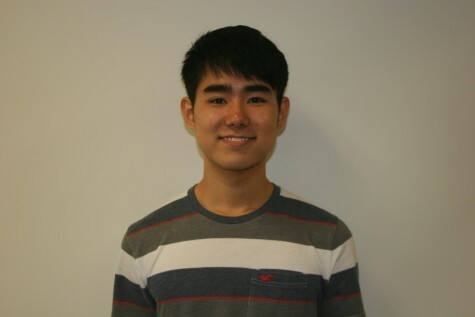 For freshman Cameron Chiu, Winterfest is a new event that he has never been exposed to before, and he is excited for what the event will bring to Fremd. Other students like senior Faris Hussain thinks that Fremd should not have another dance-related event. 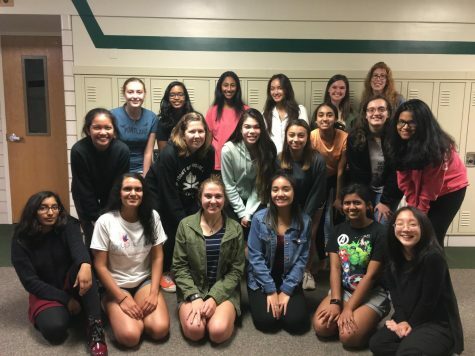 “I think because we have dance events like Homecoming and Prom already placed, we should make Winterfest a different type of event like Fremd After Dark that brings in a whole different atmosphere to Fremd students,” Hussain said. To attend the event, students will need to purchase tickets outside of the school cafeteria priced at $20. However, for a limited time, students can get tickets for $15 on Feb. 9 during 4th and 5th hours and on Feb. 10 during 6th and 7th hours. 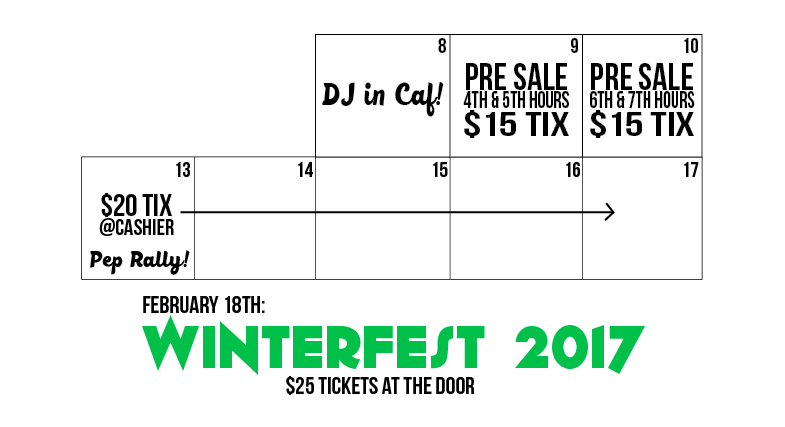 If students decide not to purchase the tickets beforehand, they can purchase tickets for $25 on the day of Winterfest.